Now now, let us not pooh-pooh the good old radio, shall we? After all, this is what kept our forefathers entertained for hours on end in the past, and it does look as though this is a device that is not going to go extinct anytime soon. After all, you might come up with a playlist of your choice, carefully curated to cater to your whimsical and eclectic musical taste, but there is just something sterile about a playlist. Yeah, you guessed it correctly – there is no human interaction or element in it, and this is where the radio DJ helps to brighten up your day. 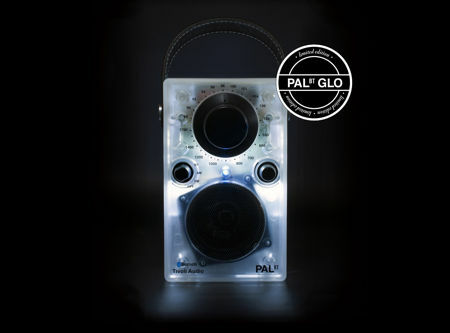 So, if you are in the market for a portable radio, how about going retro with Tivoli Audio’s PAL BT Glo? The team over at booq, who happens to be designers of stylishly functional laptop bags, backpacks as well as carrying cases for creative professionals, have just lifted up the curtain on their latest addition. This new star to the “show” happens to be known as the Booqpad for 9.7-inch iPad Pro. This particular model of the Booqpad makes it easy to switch between working and playing mode, where it will bring together the security of a snap case with the practical benefits of a multi-fold folio, in the end delivering versatility, protection and style. It will also arrive complete with a removable magnetic polycarbonate 9.7-inch iPad Pro, folio and notepad, making it the ideal create-and-carry solution. The Booqpad for 9.7-inch iPad Pro will sport an asking price of $60 a pop if you are interested in picking one up for yourself. 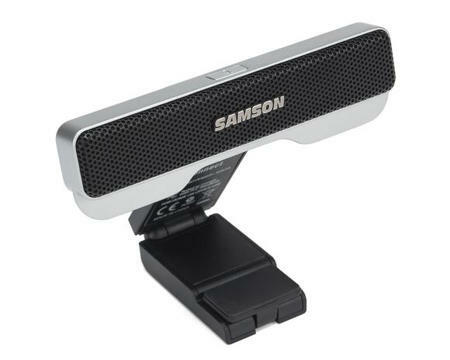 There are so many ways in which a video recorder can be implemented across numerous devices these days, so much so that for many of us, having one dash cam installed in our vehicle’s dashboard is considered to be compulsory. After all, you can never quite tell as to when something bad is going to happen, or when an accident is about to occur. When that happens, at least you have an eyewitness of sorts when it comes to evidence. Thinkware, the leading dash cam company in the world, has just released both its Dash Cam X330 and X350 in the US, which will boast of Wi-Fi functionality so that users are able to hook up their devices to the camera, in addition to a Safety Camera Alert feature which can be connected to the external GPS antenna in order to provide drivers with regularly updated information on verified speed/red-light camera locations and registered speed traps. In any household these days, there are many different kinds of devices under a single roof, even if it is just the two of you – or heck, a single living there. This means that at the end of the day, many of the power outlets would be fully plugged for the simple fact that these smartphones and tablets will need to be juiced up in order to be ready for yet another full day of action. 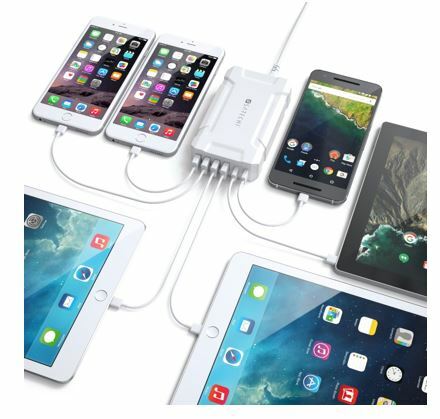 Thankfully, many device manufacturers these days have decided to settle for a USB charging capability, and Satechi has come up with with yet another multi-device USB charger, which they have called it the Multi-Port USB Charging Station. With many of us sporting more than a single smartphone these days, it goes without saying that there are way too many different kinds of chargers to choose from. However, this does not mean that you need to throw up your hands in the air in despair before you travel as you pack, since there are always solutions for emergencies. Griffin Technology is one of them, having come up with award-winning and thoughtfully designed mobile accessories, and they have just announced their highly anticipated Survivor Power Bank. In fact, the Survivor Power Bank happens to be the very the first phone and tablet backup battery pack that is not only durable, but also reliable enough to be known as Survivor. The world is all about convergence devices these days, and it goes without saying that when it comes to mobile devices such as notebooks, a simple notebook capability or function simply isn’t enough. 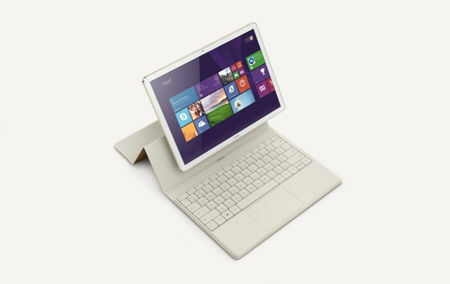 There has been advancements in this particular area before, involving the use of a very flexible hinge that enables the notebook to be shown off in different modes like a tent, or even to lay it flat. As for the Huawei MateBook, it is being prepared to be ready for action over in the US as well as Canada fro July onward.